A red, white and blue dress... need I say more? i agree with estelle...LOVE that clutch! happy 4th! You look so adorable and perfect for the 4th. Hope you have a fun holiday! very 4th of july feel! I really like how chunky and masculine that necklace is actually :) It looks and feels really powerful and I wish badly, that it was mine. You look adorable! Great clutch! New post here!Check it out if you're bored and stuff! I like that look a lot since stripes are always so fresh and fun. and I also love the studded clutch! Love your hair! It looks so nice! You have a very great blog,I like it! Would you like to follow each other on GFC? gosh that dress is so cute - looks so light and comfy! happy 4th - hope you have the best day! 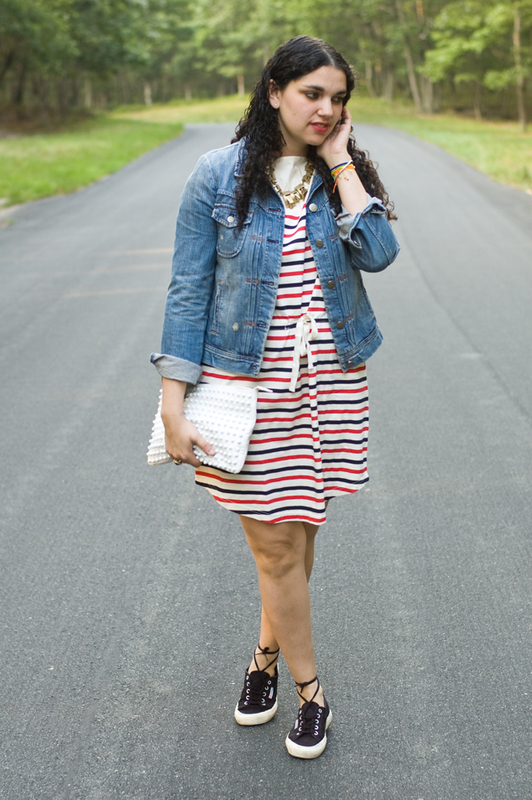 I love that dress - the stripes are so adorable with your denim jacket! I love this patriotic dress! Happy 4th! confer my blog and follow me, it is new and very cool, has news, kisses! thanks for your visit! great outfit! I love the combination of the dress and the jeans jacket! 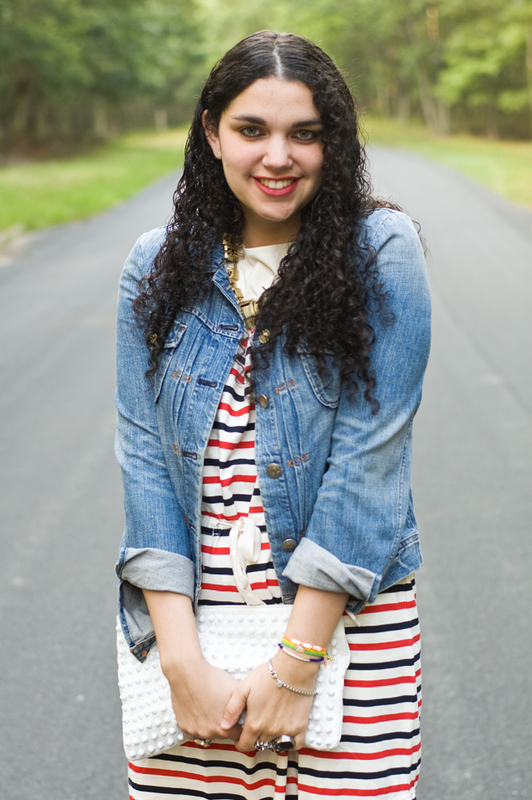 I love striped dresses!! Amazing look! Your hair!! Ahh, Gaby, you're so so pretty! Love the 4th-themed ensemble. Way to make the holiday your own. Your smile is killer here, too. Just an overall awesome post. Makes me happy just scrollin' through. Such a cool look! 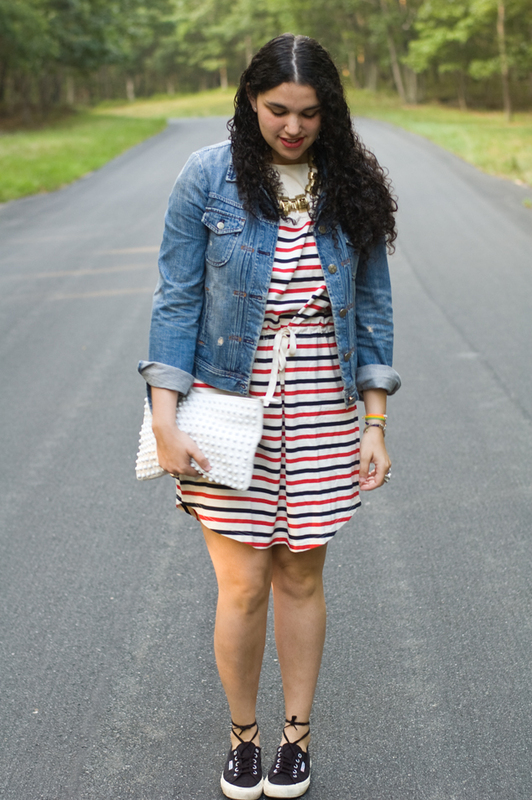 Love your dress and Superga! 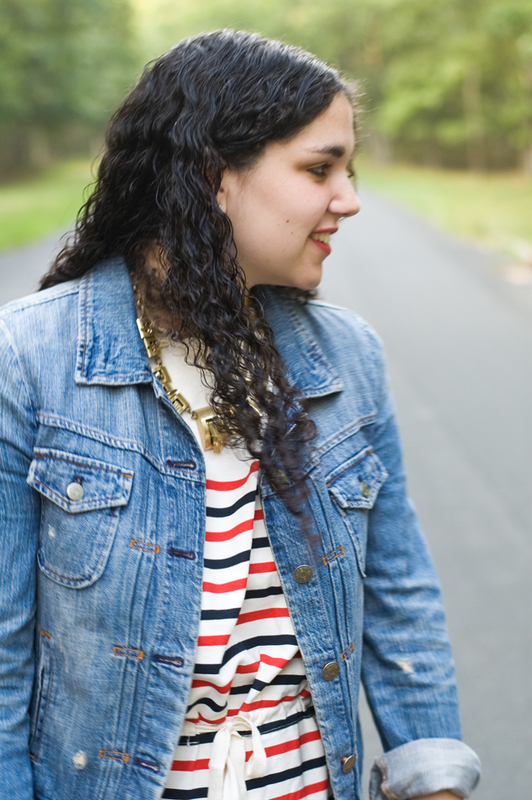 I can't think of anything more appropriate for the 4th than stripes and denim! Love it!! Love the way you tied your shoes! Great look for anytime but especially for this occasion! Like how you paired it with the sneakers cute bag! !